Nothing can ruin a great day out on the slopes faster than a bad or poor fitting pair of women’s snowboarding goggles. Picking a pair of snow goggles that fit well and are suitable for the type of snowboarding you’ll be doing can make all the difference when out on the slopes. It is my experience that a pair of bad women snowboarding goggles (or a poorly fitted one) is definitely going to ruin your great snowboarding day. Once upon a lovely snowing day, I borrowed my friend’s spare goggles since mine was broken on the bus ride to the ski resort from our hotel. Very nice snowboarding goggles, with photochromic Lenses and great looking! Unfortunately, it didn’t fit my face at all… There was a gap between my nose bridge and the foam of the goggles, a small one, just it was big enough to let that -15 degrees cold air in and making my eyes watery and the lenses foggy… right, and frozen face too. At the end of the day, I stopped riding after just 3 runs. So yeah ladies, in this article we are going to give you some advice and recommendations for the very best women snowboarding goggles that will save your snowboarding day. 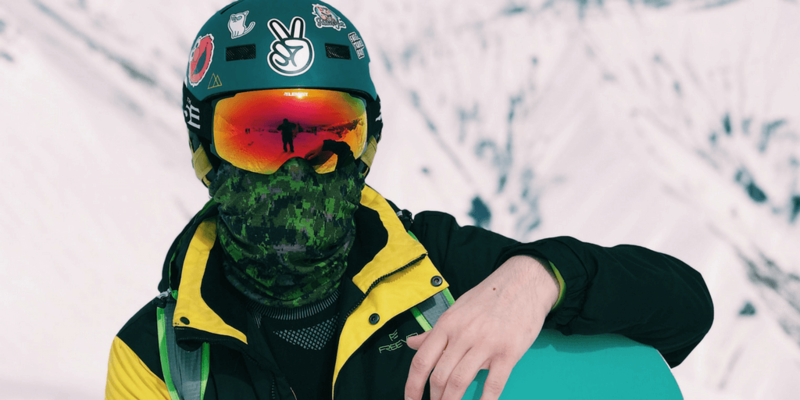 Smith Optics I/OX Goggle – probably the best goggles of the year after considering all factors… the price, lens tech, compatibility lens switching and designs options. Anon WM1 Goggles – a bit more pricey but they are the master of lens switching system, with great tech too. Oakley Flight Deck Snow Goggles – it’s from the giant of optical wears! Great tech, chances to upgrade to PRIZM tech. Giro Dylan – huge price cut and yet an all-round goggles. Why You Should Get Snowboarding Goggles? Almost all snowboarders should get a pair of good goggles, I would consider this as one of the most important gears for a snowboarder that is directly linked with your performance and safety on the mountain. Unless you are a complete beginner who is planning to go to an indoor ski resort or you are very sure the ski resort you are going is totally sunny and with no wind, you should always get a pair of snowboarding goggles. The main reason is quite simple, we all want “as perfect as possible” vision while you are navigating the terrains. Unlike sunglasses, snowboarding goggles provide a seal covering your face, keeping your face warm by trapping the heat. It also protects your eyes from wind, snow and ice crystals. In case of any accidents of falling, snowboarding goggles can always give you a better protection and less chance of losing and breaking than sunglasses since it is tightly fit against your face with the strap. Snowboarding Goggles for Women: What to Consider? You should always pick goggles that fits your face so there will be no gap between your nose and the foam seal of the goggles. A gap will let in cold air, ice, snow, moisture, etc… everything that will ruin your ride. The basic law here is: pick a pair of snowboarding goggles with frame size that is correlating to the size of your head. Small head (helmet size: small) often pairs up with small frame size, while large head (helmet size: large) pairs up with a medium or large frame size. There are many sub-factors worth considering when it comes to lens, such as lens shape, color, tech and functions, ventilation. Lens shape — snowboarding goggles with spherical lenses (a bubble lens which curve both horizontally and vertically) often offer more advantages than cylindrical lenses (or flat lenses), for example, more vision, less blind spot, less distortion, and reduce chance of fogging. Lens color — you need at least two type of color normally, one with darken color, the other with lighter color. Here we come to Visible Light Transmission (VLT) – the percentage of light allowed through the lens (0% – 100%). It’s better you have one lens with low VLT (black, grey and gold, for sunny condition and good visibility) and one lens with high VLT (blue, rose and yellow for darken condition, or low visibility condition e.g. foggy or heavy snowfall). You may also want to purchase a pair of snowboarding goggles that come with a clear lens if you are planning to do quite a bit of night riding. Lens Tech — this is the easy part: more function, more advantages! Anti fogging, UV protection, polarized lens, double lens, mirrored lens, photochromic lenses, prizm lenses, etc. Ventilation — you should always pick snow goggles with better ventilation than others since they have better a chance of avoiding fogging. Do check if the snowboarding goggles fit with your helmet. Check the straps and the buckle. Your goggles should fit perfectly on your face with the strap around your helmet, no too tight, not too loose, with no gap between. Also check the buckle position too and make sure it can fit into the goggle holders on your helmet. Smith I/OX is a great pair of snowboarding goggles with great technology such as anti-fogging, great ventilation, and it comes with tons of different lenses for you to choose. It has Medium/Large Fit and is Helmet compatible (oh yeah, and eyeglass compatible too). Plus, this is a pair of great goggles and yet somehow quite affordable. Comes in with different designs and color options. Easy to switch lens with smith’s interchangeable-lens system. Lenses changing is not as easy other designs like Oakley’s Switchlock and the magnetic designs from Anon and Giro. This is a pair of women-specific design goggles that are designed to fit comfortably on female facial features. The lens switching system is super easy, and it is held tight by magnets, so all you need to do is just “Pull out, snap in”. Comes in a great variety of designs, patterns and colors. Great tech to keep your lens more clear and less foggy, and with great venting systems too. It’s more expensive than many options. It’s from Oakley! This pair of goggles gives you the option to upgrade the lens to PRIZM technology for a slight price increase. It’s anti-fog and helmet compatible, with great details so to make this designs fit to your face comfortably. It also comes with a sub-frame attachment system that allows you to easily switch lenses. Come in quite a few different designs options. It’s at the low to middle price range of Oakley and yet it’s still more expensive than other brands. Giro is a good all-round goggles with great value of money, at half the price or less of our other picks and yet they offer great functions. This is also a pair of snowboarding goggles specifically designed for women with double layer face foam. I would say this is a great choice for beginners, especially for those who are not so sure about if skiing/ snowboarding is their thing or not. Expansion View Technology and Anti-Fog coating. Step down in optics from top picks. 1) Keep using them every winter season so the foam of your goggles remains soft and elastic. 2) Loosen them from your helmet after a snowboarding day. 3) Make sure your goggles are dry before putting them into storage. 4) Do not use any cleaning solution to wash them. Oakley has a very good article about goggles care, you can take a further look here. You may also want to view this awesome video “Goggle Care 101” made by Witt. Another great rule-of-thumb for buying your goggles is — always buy you goggles before going for your snowboarding holidays, because it’s usually more expensive in the ski resorts! For gals who need to wear eyeglasses, do make sure you get a pair of goggles with great ventilation system! Sadly you have a higher chance of foggy lens. So here’s what we think about the best snowboarding goggles for women. We try to consider base on a balance of appearance, functions and price. Do you agree or disagree with our choices? Is there anything else you want to know? Leave a comment below with any feedback or questions.